Superior bred cows available right now! CLEARSTONE COWS & Yearlings bred to CLEARSTONE bulls, including Columbus, Clearstone is the most prolific producer of champions in North America today. Animals and elk business advisory services are available today. Custom boarding and breeding as you need it! 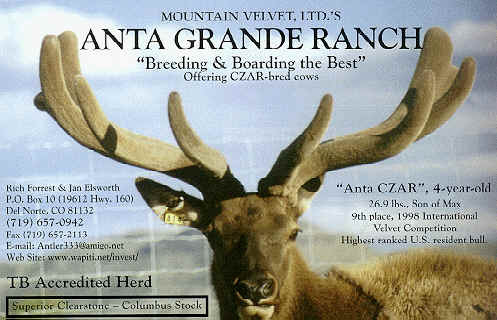 Nestled near the scenic Rio Grande River in the beautiful San Juan Mountains of south central Colorado, Rancho de Anta Grande offers quality-bred elk from international blood lines at competitive prices. Situated at 8000 feet with mild, cool summer days and cold, frigid winter nights, our elk thrive on the very best of alfalfa-timothy hay in climatic conditions that mimic the southern Canadian plains. Founded in 1992, our herd genetics, with its well-documented pedigrees, is one of the finest in the Western United States. We specialize in 3-time continuing International champion Clearstone genetics including cows and breeder bulls. Our lead herd sire, "Anta CZAR", was 9th place in the 98 Internation Velvet Competition as a 4-year old, and is the highest placing US resident bull at 26.8 lbs. MAXSWELL and QUEBEAU, additional sires, were 11th and 10th respectively as 33 lb 6 year olds in the International Competition. Our 1998 calf sires also include GERONIMO and CAESAR II, both Clearstone champions through out. Other important bloodlines include COLUMBUS, MAX, REED, GORD and IKR. 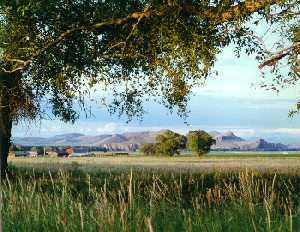 As a fully integrated elk operation covering over 520 acres (125 acres fenced for elk) with 200 acres in alfalfa hay, we have the land and feed production to sustain several hundred animals. Our herd has expanded from our original four bred cows in 1992 to well over 100 animals with several boarders. 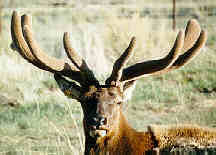 We now offer our specially bred elk to other ranchers and investors. We sell only the finest of animals, bred or sired by our outstanding herd sires with exceptional velvet genetics. We work with our customers to realize the best possible product for their investment goals. 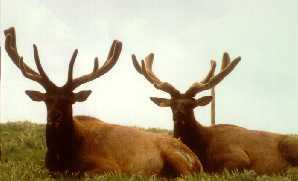 Our elk management services can help you build a profitable elk herd at an excellent rate of return. We can board your purchased animals giving them the best of care mixed right in with our own herd. With our facilities and elk skills, we can help you build a profitable herd! Give us a call or Comon by! Tour the ranch, ... see the elk. Your questions and inquiries are welcome. Location: 5 miles west of Del Norte, CO , 11 miles east of South Fork, CO on US Hwy. 160, Look for the "GOT ELK?" sign.